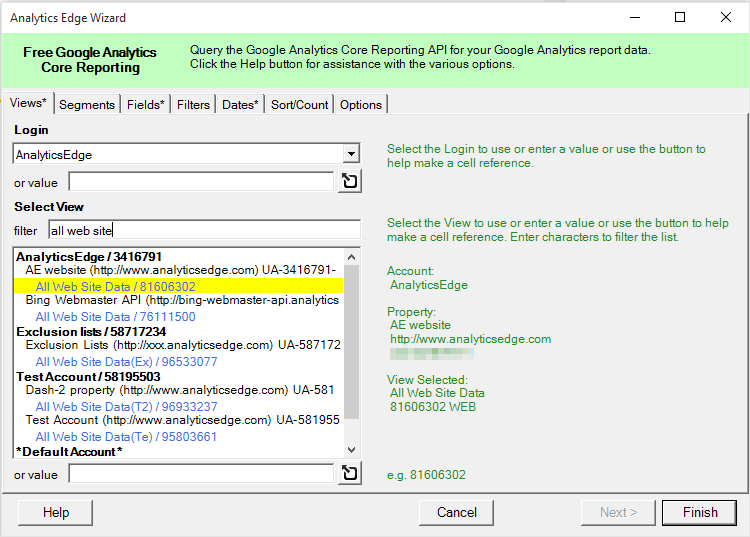 Use this Analytics Edge wizard to select the Login account and the reporting View to use for the query. 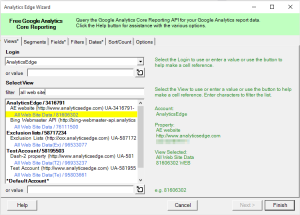 You can enter a view (profile) id directly, or click the cell reference button and select a cell in the workbook to get the value from. View ID’s are the numbers displayed in the View (profile) selector. e.g. 76063423.